Measurement Solutions has over 40 years experience supplying, specifying and supporting the Australian Rupture Disc (burst disc) market. Our extensive knowledge and commitment to sound engineering practice ensures we consistently provide our customers with dependable advice and the best solutions for their over or under pressure protection applications. 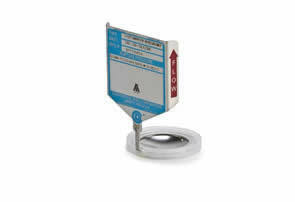 Rupture disc offered with a choice of true 90% or 95% operating to burst ratio. The HPX® Rupture Disc (bursting disc) is a scored, reverse acting rupture disc utalising CDC's industry leading technology and craftsmanship. The HPX® Rupture Disc is a high precision reverse acting rupture disc that offers proven performance in excess of 5 million cycles at 95% operating ratio. Thats over 5 times longer than our nearest competitor! 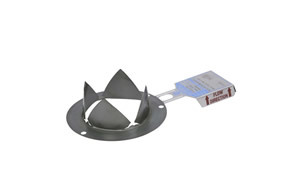 The HPX® Rupture Disc excels in fully liquid, gaseous and partial gas/liquid systems. Full opening guaranteed. 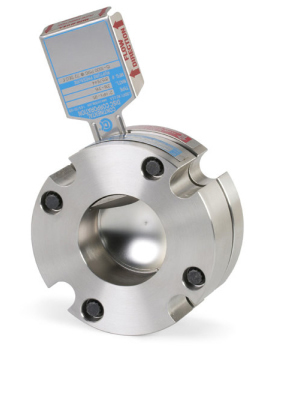 - Compliance with AS1358, ASME, PED, ISO, NACE, CE, NADCAP, Reach and more. The SANITRX HPX® rupture disc (bursting disc) is a scored reverse acting rupture disc (bursting disc) designed specifically for the pharmaceutical, food and beverage, and biotech industries. 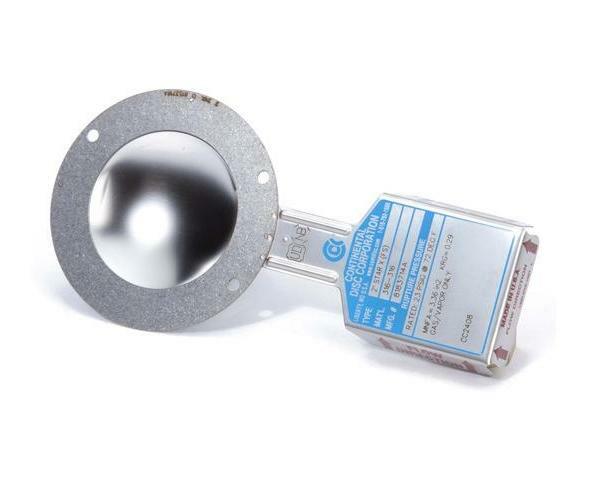 This differential pressure relief device features an instantaneous full-open relief area for protecting equipment, vessels, systems and people from an overpressure condition. This high precision reverse acting rupture disc (bursting disc) offers proven performance in excess of 5 Million cycles at a 95% operating ratio. 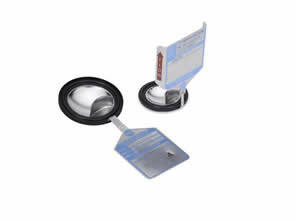 SANITRX HPX® Rupture Discs comply with essential criteria of ASME BPE and USP Class VI. The HPX-Ta™ Rupture Disc (bursting disc) is a Tantalum semicircular scored reverse acting rupture disc designed specifically for use in highly corrosive media, such as bromine, chlorine, HCL, nitric acid or sulfuric acid. 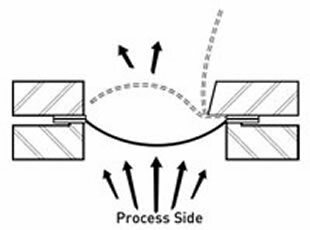 In certain concentrations, temperatures and moisture conditions, Tantalum is frequently the only suitable rupture disc material for the application. The LOTRX® Rupture Disc (bursting disc) is a scored reverse acting rupture disc (bursting disc) that utilizes failure initiating indents, a highly accurate manufacturing method to achieve and control a burst pressure at close tolerances, plus a precision semicircular score to provide a clean, consistent opening pattern. The LOTRX® Rupture Disc (bursting disc) is designed for extremely low pressure applications below the range of the HPX® Rupture Disc product family. The STAR X Rupture Disc (bursting disc) is designed to provide protection at even lower burst pressures than the ULTRX or MINTRX rupture discs. It has Continental Disc's patented non-symmetrical failure initiating indents, to precisely control disc buckling at a predetermined pressure. The STAR X Rupture Disc incorporates a handling ring to reduce torque sensitivity. It is specifically designed for low pressure applications that require operating ratio of up to 90% of the disc's rated (marked) burst pressure. The MINTRX Rupture Disc (bursting disc) has many of the same benefits as the HPX Rupture Disc, but is specifically designed to operate at lower burst pressures. When the patented precision controlled indentation on the rupture disc surface initiates the reversal action, full opening will occur.. The RCS Rupture Disc (bursting disc)is a reverse acting, cross-scored, solid metal rupture disc (bursting disc), providing reliable pressure relief protection, easy installation, and retrofit to your pre-existing piping arrangement. Available in sizes outside the range of the HPX® Rupture Disc product family. 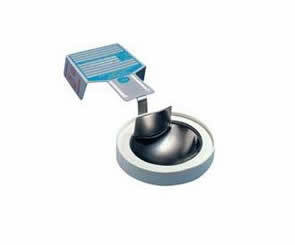 Sanitary rupture disc designed for pharmaceutical, food, beverage, and biotech industries. 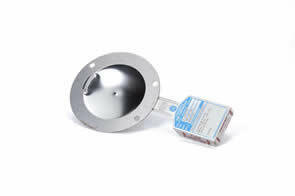 The SANITRX® LPX is a stainless steel, reverse acting rupture disc (bursting disc) designed specifically for the pharmaceutical, food and beverage, and biotech industries. 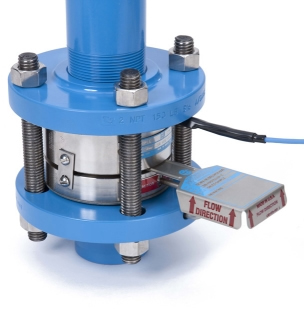 This differential pressure relief device features an instantaneous full-open relief area for protecting equipment, vessels, systems and people from an overpressure condition. The SANITRX HPX® II Rupture Disc is a semicircular, scored, reverse acting rupture disc (bursting disc) designed specifically for applications in the pharmaceutical, food & beverage and biotech industries that require pressures above our SANITRX HPX® Rupture Disc. 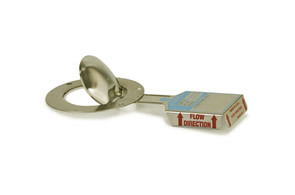 Available in sizes 1 ½” to 4,” this rupture disc is available to fit between standard sanitary ferrules, NA CONNECT® flanges or SANITRX® fittings. SANITRX HPX® II rupture discs are shipped in sanitary, environmentally friendly, non-toxic packaging. For applications that require lower pressures with reduced flow resistance, Continental Disc offers the SANITRX LP® Rupture Disc (bursting disc). 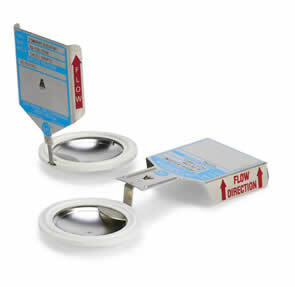 This new rupture disc was designed specifically to provide the same features as the original SANITRX® Rupture Disc, but with the added benefit of lower available burst pressures plus, through the benefit of using our on-site ASME Accepted Flow Test Laboratory, the SANITRX LP® Rupture Disc has been designed to have one of the lowest KR flow resistance factors available in a rupture disc of any design - from any manufacturer. 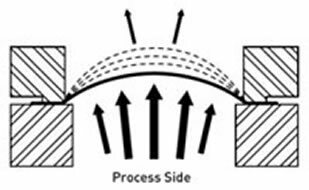 Rupture Discs (Bursting Discs) function as a pre-designed "weak point" in a pressurized system, and they should be the strongest part of your pressure protection system. Continental Disc Corp's rupture discs (bursting discs) utilize innovative and patented designs, the highest quality materials from traceable sources, and ISO 9001 manufacturing procedures performed by skilled craftsmen. First choice for pulsating and cyclic pressures. rupture discs, which may warrant consideration when selecting a rupture disc. 95% of the stamped burst pressure. Longer service life under cyclic or pulsating conditions. Economical option suited to static conditions. until the tensile strength of the material is reached and rupture occurs. Why Choose a Rupture Disc?? Aside from instantaneous full relief, zero leakage and lower operating costs. 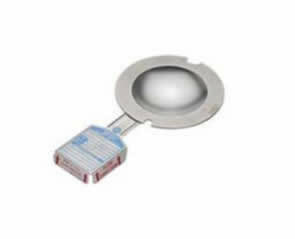 Rupture discs (bursting discs) are a failsafe relief device, which is a huge advantage if the purpose of your relief device is protection of personal and equipment. Valves can stick, corrode, be damaged or miss assembled/serviced. All of which can result in a failure to operate and a potentially catastrophic outcome. HPX rupture discs are a fail safe design which, regardless of damage, corrosion and age will still burst at or below it's certified value. Continental Disc Corporation manufactures rupture discs (bursting discs) to our customers’ specifications which protect vessels, equipment and systems against damaging overpressure conditions. Quality begins during our first contact with you. That quality is an integral part of every step we take to provide you with what you expect to receive. All manufacturing is performed under an approved ISO 9001 Quality Assurance System. Continental Disc Corporation can supply rupture discs (bursting discs) certified to the standards of ASME, the European Pressure Equipment Directive, 3A Sanitary Standards Council and many others. Continental Disc Corporation offers an emergency service program to meet your needs. Shipping schedules are adjusted daily to meet your emergency requirements. Whether it’s from the standard product line, or a custom-manufactured rupture disc (bursting disc) for a one-of-a-kind application, Continental Disc Corporation has built a reputation for solving the toughest pressure relief problems for OEM’s...Defense...Space Exploration...Aircraft and Aerospace...Chemical and Petrochemical... Food Processing...Electronics..and countless more. Continental Disc Corporation’s custom manufacturing capabilities have been tapped for such wide-ranging projects as air conditioning units, oxygen supply systems, aircraft ejection seats, sonobouys and the space shuttle. The same engineering, testing and manufacturing talent that has solved one-of-a-kind problems for worldwide industries is now available to deliver innovative solutions for your specific pressure relief problems. 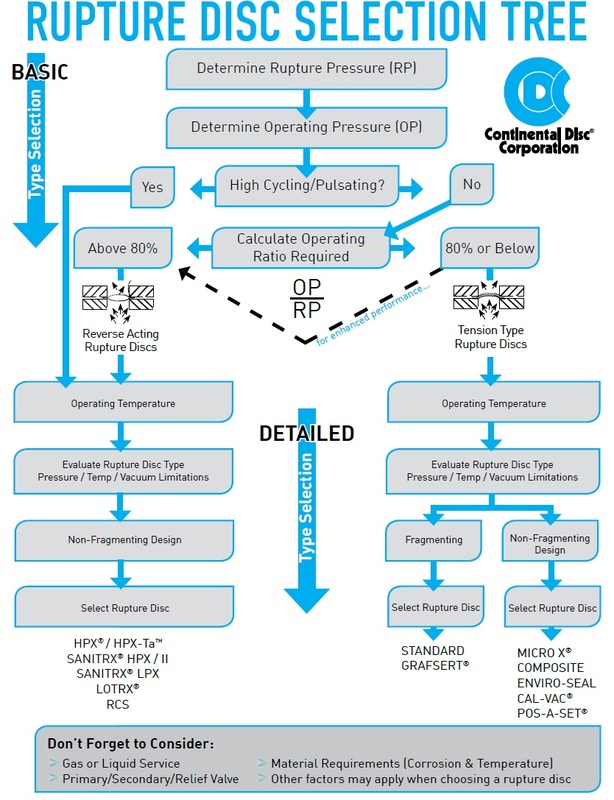 art processing and testing requirements. Whether your needs are for quantities of one or one hundred thousand, Continental Disc is ready to solve your pressure relief problems.